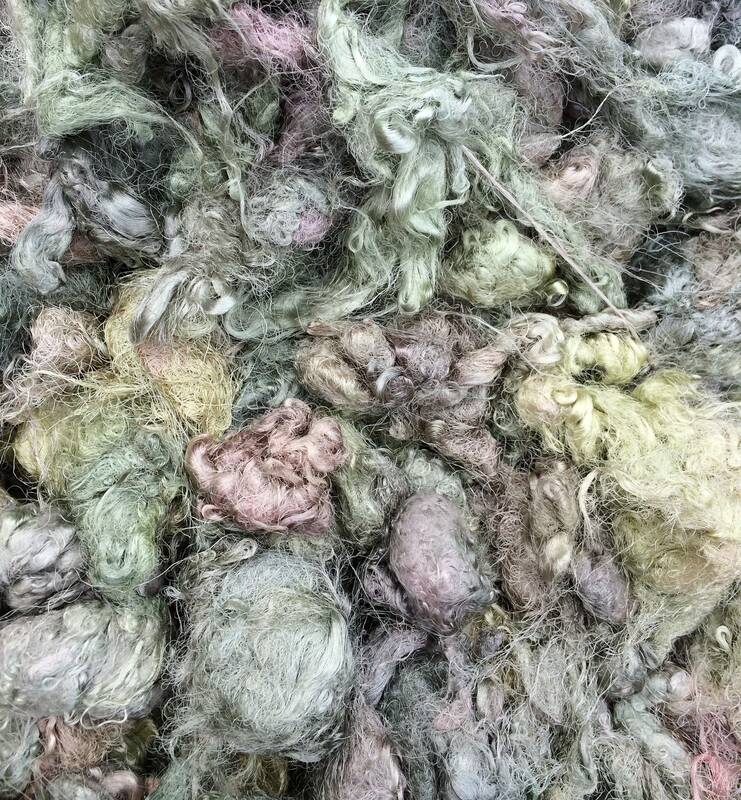 Hand dyed Silk Throwsters Waste. The quantity pictured is several hundred grams - you will receive 15g or 30g - please choose from the drop down menu. 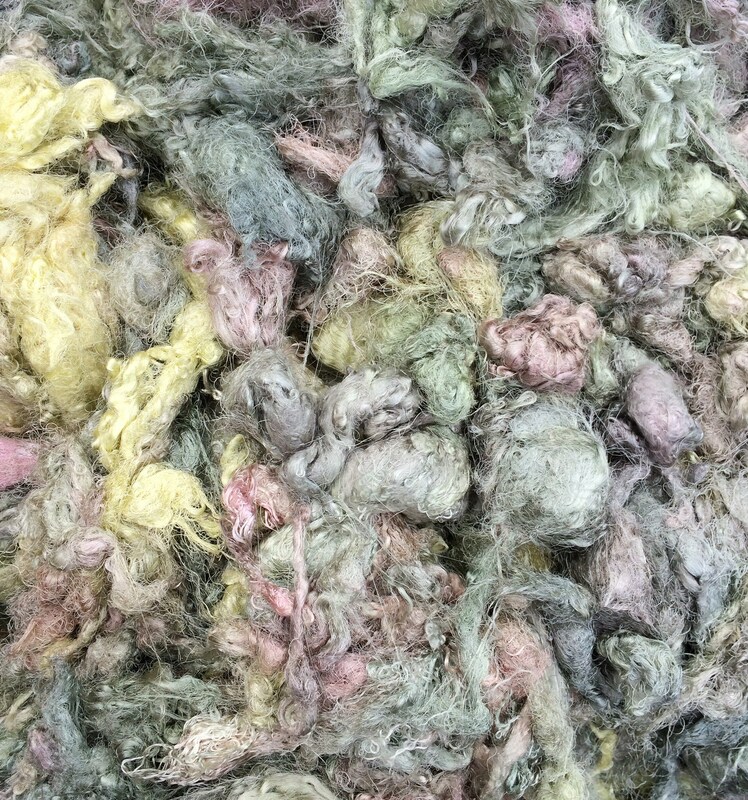 SILK THROWSTERS WASTE - A by-product of the twisting of filament in the reeled silk industry. It is unlike any other fibre on the market and an inexpensive source of high quality, long silk fibre. It can be handled in several ways to create textured or smooth, shiny yarns and can also be an inexpensive source of silk for blending. 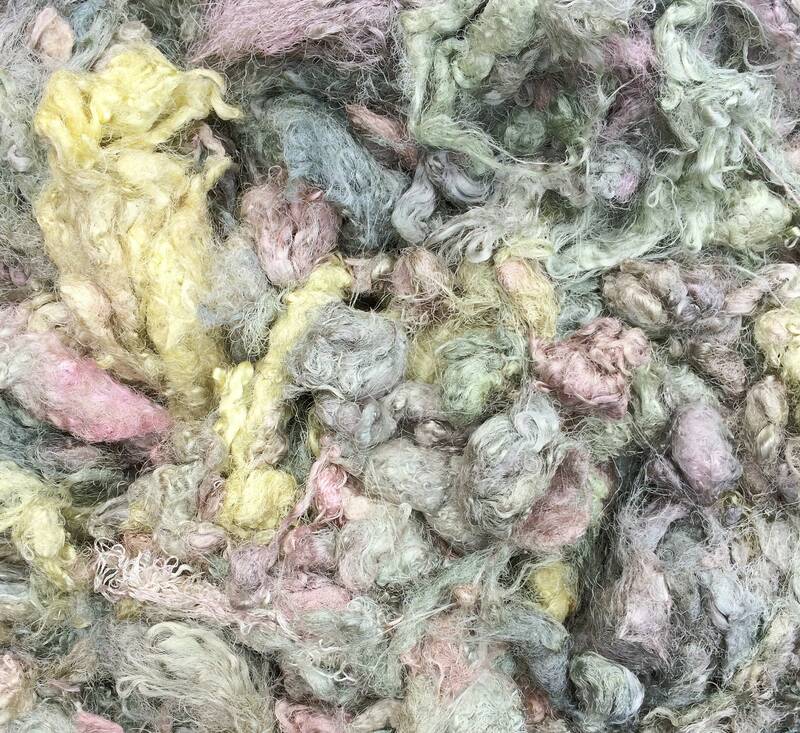 The curly texture of this fibre is a fun way to add texture and colour to your quilting, stitching, needle felting, silk papermaking and other fibre arts.